One of my tweeters last night were watching this program and tweeted to me how cute this HBO Family program was so I decided to stay up and catch the re-run because I was curious to why Happy and Nappy was in the same sentence on television. HBO Family has a program called “Happy To Be Nappy and Other Stories of Me” which was taken from the actual book series by Bell books. 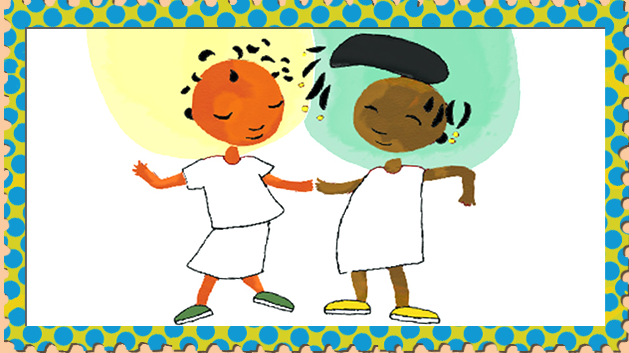 This program has small segments narrated by popular voices like Mary J. Blige and Rita Moreno to teach young children to be happy with who they are. I thought it was so cute because insecurities do start at a young age and its very seldom that you will find a show in the runnings with Seasame Street and Barney (are those still running?). Story lines like “It’s Okay to Be Different” and “Happy To Be Nappy” would be the many reasons why I would let my child watch these shows.